Is there a relationship you’re often disappointed by? Do you find yourself in the same relational predicaments that leave you wondering, “How did I get here … again?” Imagine if you could approach relationships in your life with confidence, a sense of calm, and clarity on how to communicate love and expectations. 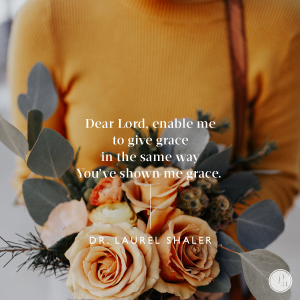 Dr. Laurel Shaler’s new book, Relational Reset: Unlearning the Habits that Hold You Back, reveals unhealthy relationship patterns, gives you practical steps for improving your relationships, and helps you find your ultimate security and identity in Jesus Christ. Available on Amazon, here. 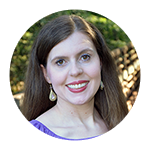 Join Dr. Laurel Shaler at her website and blog. Or, connect with her on Facebook. How can you extend grace to someone who has offended you? Think of a couple practical ways, and share your thoughts in the comments! © 2019 by Dr. Laurel Shaler. All rights reserved. Proverbs 31 Ministries thanks Moody Publishing for their sponsorship of today’s devotion.